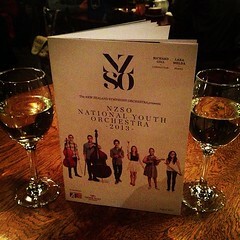 I was very happy to get a twitter message from the NZSO National Youth Orchestra earlier in the week offering me free tickets to last night's concert if I would tweet from it through the night. Obviously, I jumped at the opportunity. I'm guessing they chose me as a composer - there was a new New Zealand work on the programme - and they also asked pianist Jason Bae - I'm sure to give insight on piano soloist Lara Melda. You may be wondering, I wasn't allowed to tweet during the actual concert just before, during the interval and afterwards. Why am I telling you this? 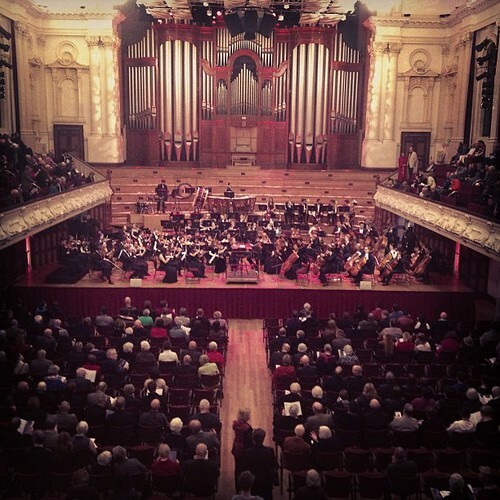 Firstly, because it's a great idea and good on the NZSO. Secondly, I want to go to more concerts so go on, give me some free tickets and I'll tweet live.